As the flowers emerge from their winter beds each year, spring offers new visions of hope. Our fresh eyes scan the landscape to assess the beauty in our surroundings. On such days, we feel love for our families, love for our friends and love for our neighborhood, country and land. All of this combines to present eternal optimism. We are part of a world than regenerates itself. We have unlimited potential to thrive in this world. We have unique talents to share with those around us. 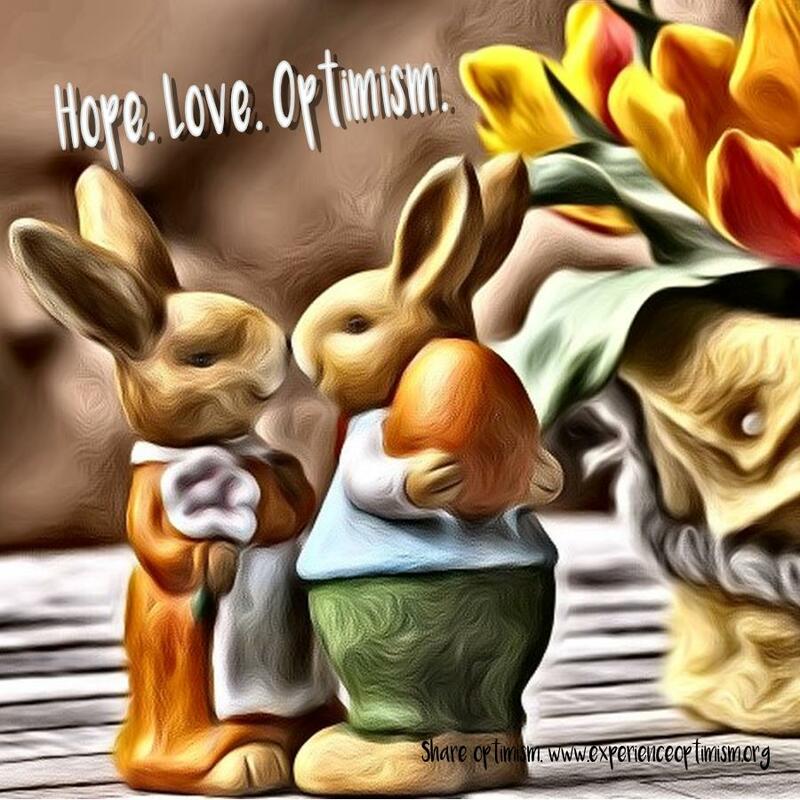 We have hope, love and optimism. My wish for you - and for me - is that our hope, love and optimism will shine and grow throughout the year. Last year, Optimist International encouraged its clubs to participate in Optimist in Action day. The idea was that an Optimist Club would perform a community service activity one day - any day - in May. I thought that seemed a bit silly; after all, Optimist Clubs find action throughout the year in all the programs and services they perform. In 1992, a new and innovative program, titled Optimists in Action Day, was introduced as a pilot program to unite Optimists and other volunteers in the community in a single day of community or youth service. If your Optimist Club is like mine, it probably includes Optimist Club members and community members in its projects most of the time. Instead of promoting our clubs on one day of the year, I suggest that we make our activities more visible every time we host an activity or event or volunteer in the community. For example, Clyde Adams posted this sign on Facebook today. This weekend, the Four Towns Optimist Club will host an Easter Egg Hunt and this sign will be there letting the public know that the Optimist Club is in action. Get one for your Optimist Club today! One only has to turn on the television or radio in the United States today to hear pessimism surrounding the presidential electoral process. It can set a fairly poor tone for the day. I believe that we are better than that. Eight years ago, I believed in Barack Obama's message of hope and today, I still believe it is possible to strengthen our communities. I have hope for the future because I belong to an Optimist Club. 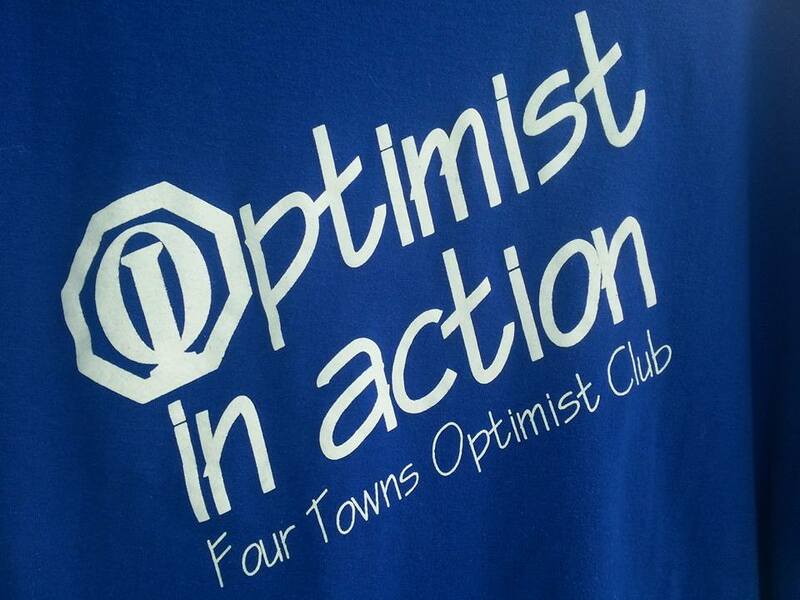 An Optimist Club helps bring out the potential in ourselves so that we may help others bring out their potential too. I took the dare many years ago to be an optimist. 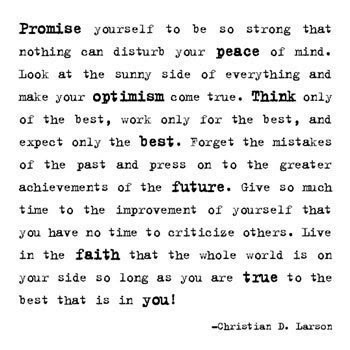 I've wavered; I've had trying times, but I can always turn to the Optimist Creed and my faith is restored. I invite you to take the pledge today. I dare you to be an optimist. 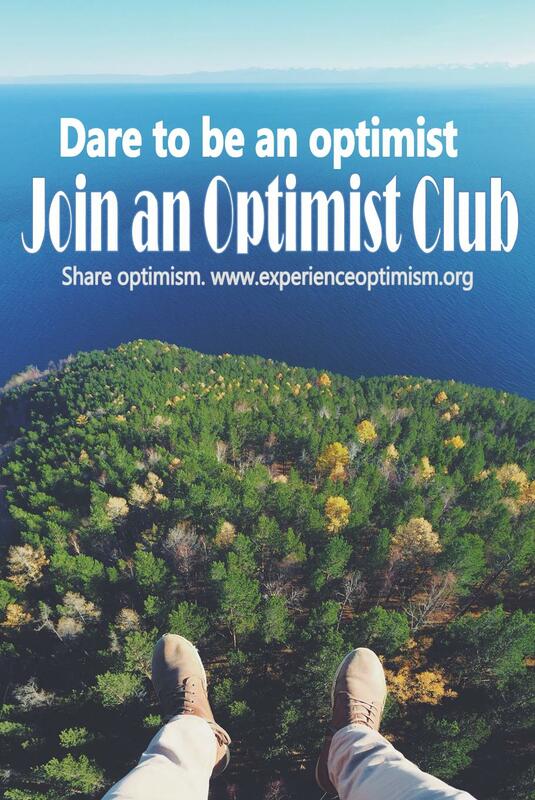 Click on the link to find an Optimist Club near you and join: Find an Optimist Club. 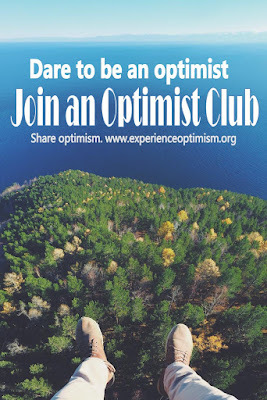 Click on the following link if I may be of help for you to start a new Optimist Club in your community: Contact Linda Vaught. This year for International Women's Day, I again turn to my Optimist Club roots and recognize two ladies who are doing an outstanding job sharing their optimism with others in the West Coast Region of Optimist International. Both hail from California -- Carol Morack, Governor, Pacific Southwest District and Beth Mills, Governor, Pacific Southeast District. 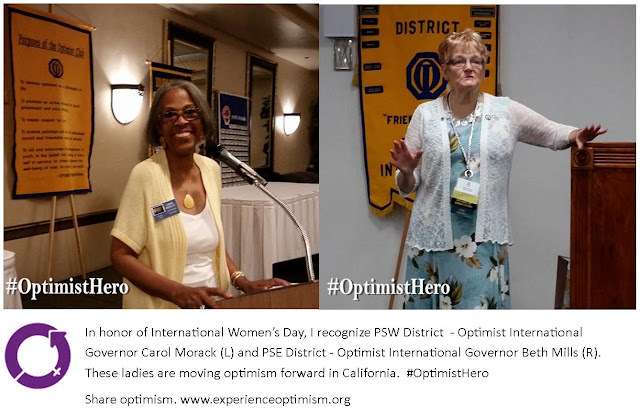 Leading a district for Optimist International can be a challenge because despite the great number of women who are now involved in the organization, advancement can still seem very political. As we are ruefully aware, success is not always recognized by what you know, but rather, by who you know. It is my sincere belief that women must champion women. However, it is my strong plea, men must also champion women in order for there to be true equality at work and in volunteer leadership positions, among other things. Morack and Mills are currently leading the West Coast Region in membership growth. They each have game plans for finishing the year in positive numbers. Morack's plan includes starting new Optimist Clubs, two at a time. She believes that creating pairs of clubs will make them stronger as they will have others with whom to share their experiences. She gathered commitments from builders at the recent district meeting and now she must encourage them to follow through. As it celebrates its 30th anniversary of being recognized as a district, Mills is rebuilding fellowship in an effort to find and nurture new leaders. It's easy for the same people to step forward, but in order for the organization to expand, we have to hand over the reins to new people and ideas. I salute both ladies for their optimism and wish them them the best. I know you will succeed! In a bit of a role-reversal, students from the Maryville, Missouri Middle School recently recognized the Maryville Optimist Club for their community service. The Community Recognition Action Team bestowed the Golden Milkbone Award to the Optimist Club following the 2016 Optimist Oratorical Contest. According to the Action Team, the Optimist Club lives their motto Friend of Youth by maintaining great relationships with all Maryville schools and involvinvolving the students in many contests, activities and events. Optimist Clubs pride themselves on recognizing students during Youth Appreciation activities, among other things. Receiving an award from the very students they serve is indeed an honor. Congratulations to all. 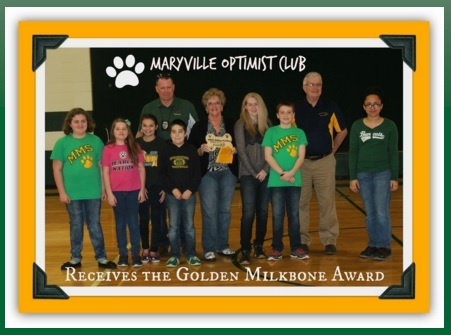 To find out more about the Golden Milkbone Award, please visit the Maryville Middle School website. I have mentioned before how much I love an Optimist Club Pancake Breakfast. It brings the community together for a good cause and there's sweet syrup to boot! One of the real attributes of a pancake breakfast, spaghetti supper, chili cook-off or other club fundraiser with food is it increases fellowship within our clubs. Our members get to laugh and enjoy one another and build true bonds of friendship as is demonstrated in this quick little video from the Cerritos Optimist Club. Enjoy. Robotic clubs, school groups with a technology focus, have caught the attention of a great number of Optimist Clubs. Some are starting Junior Optimist Octagon (JOOI) Clubs within them while others are supporting the school efforts with donations. 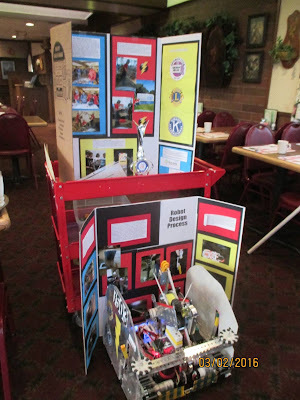 The robot shown here is from the Lightning Bolts Robotic Club in Gresham, Oregon. The exhibit shows pictures of the club developing the robot and participating in tournaments. That's awesome. It also shows the organizations that have sponsored it and that's what I want to talk about here. Notice that there are three sponsors that are visible: the Kiwanis Club, Lions Club and something that is pink and not readily identifiable. I know that pink thing is the Gresham Optimist Club. Isn't it too bad that the Optimist International logo is not as easy to read as its counterparts? Optimist Clubs and members often lament the fact that Optimist Clubs are a best-kept secret. Well folks, the best way to keep it a secret is to NOT use the standard logo for the organization. If you want Optimist Clubs to be recognized around the world, don't hide it behind your club's branding. Use the official logo, loud and proud. With more than 2,300 communities served by Optimist Clubs around the world, we could make millions of impressions daily. For our brand to be known, we must offer a consistent impression and that begins with using the official logo of Optimist International.